Confirm Your Vote For PAWSitively PETrageous! "A place where pets shop for their people! 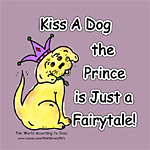 Artist Doreen Erhardt has opened PAWSitively PETRageous at Zazzle to have all her great pet designs in one great store! Pet Memorials and Sympathy cards, Holiday Pets, put your pet's photo and name on all kinds"
PAWSitively PETrageous! is a website listed on the Top Site List Planet list Top Cool Tees.